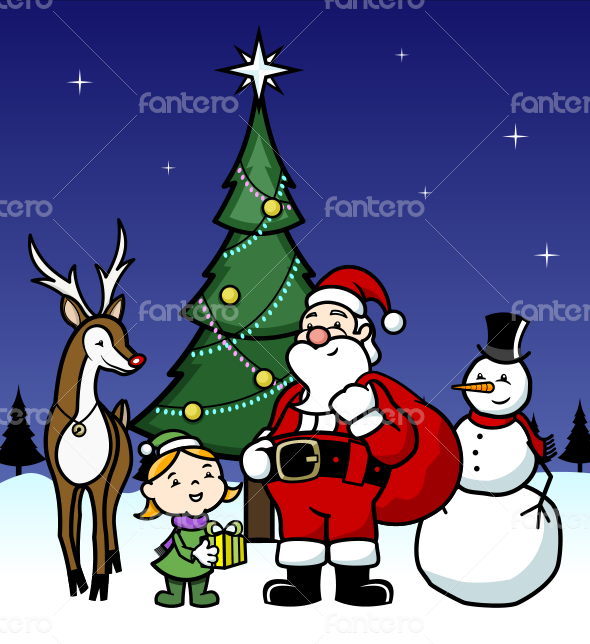 Illustration with a red-nosed reindeer, a little girl, Santa Claus, a snowman and a Christmas tree. Buyer receives one zipped file containing .AI, .EPS, .PDF and .PNG files of the image. The elements can be separated and reorganized using vector software. Do you have any comment or questions about dalmas file?